OnePurpose. OnePlace.Simply the Best Payments Platform. OnePay. Get Paid In Many Ways. The OnePay platform interconnects diverse computer networks to simply and secure payments across a wide range of systems. So, as you go from start to maturity and from maturity to success, OnePay has all you need for OnePrice on OnePlatform. It’s That Simple. From payments to billing and vaulting to tokenization, OnePay gives you all the essential payment functionality you need to grow your business in OnePlace. No additional product purchases needed. A simple payments platform with a complicated API negates its benefits, but OnePay made ours with developers in mind. 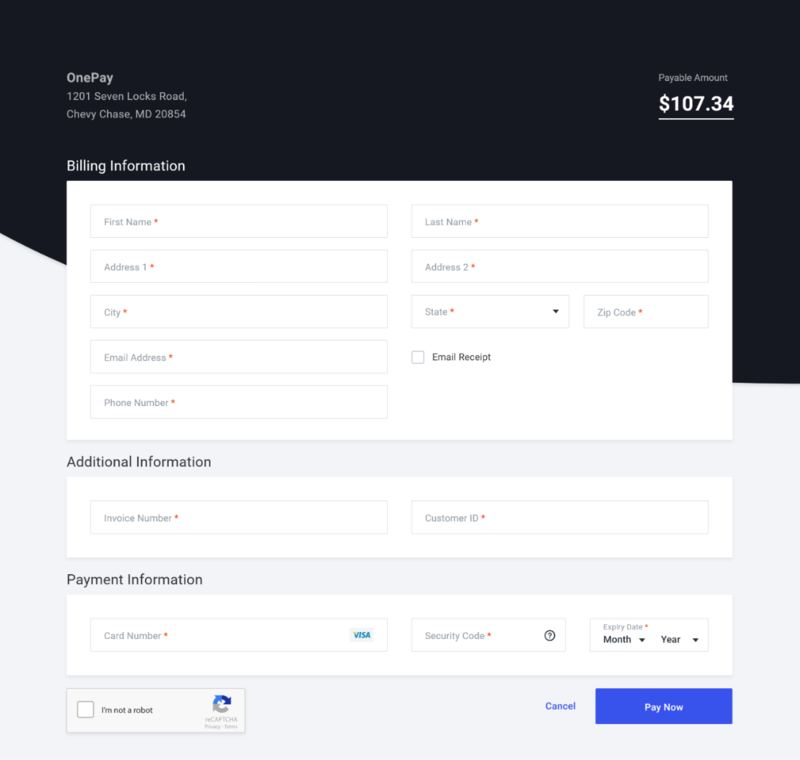 With a simple copy and paste, you can add OnePay to your e-commerce process.